Thanks for everything you have done. Through the years your development, as well as the others that contributed made the most informed site on the Dinar. Thank you to the Stryker family for diving into a sea of confusion and making it into something I can understand. You are simply the best. Thanks!!! When good people come together, GREAT things happen! The Stryker team does a fantastic job analyzing the info that comes out of Iraq for all of us to consume. The time and effort it takes to do so is appreciated. To all of the Stryker team...GREAT JOB Everyone and keep up the good work! To Stryker, Mods & all the Newshounds: A simple "Thank You" doesn't seem sufficient to convey all the appreciation I have for all the time and effort that has been put in to make this site a place of excellence. I have learned so much over this past year due to everyone's dedication to giving us the "real" facts and not the so-called "hopium". Stryker, thank you for being REAL, being honest and down-to earth. A special thanks to your family for sharing you with us. I know it's been a sacrifice in many ways, I pray you'll be rewarded for your diligence. God-willing, I am looking forward to meeting everyone at the RVQ. Until then, we "press on"
She has been banned for breaking forum rules!! 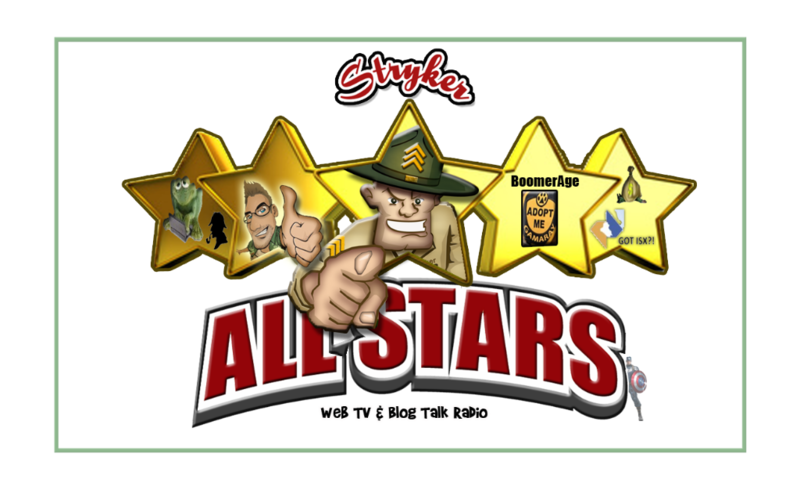 I'm new to the Stryker blog group. I most recently have ended by daily visits to 4 dinar guru sites on which I learned of Stryker Blog. I rarely visit those sites now. It is so easy to be confused with all the noise out in dinarland, but I feel at peace and confident that I am getting the facts with Stryker Blog. Thank you all News Hounds, Mods and of course Stryker for your diligent work for all of us. There truly are good people in the world!! From Ohio --Go Bucks and Go RV! All i can say is a big FAT THANKS! LOL Especially to Stryker and Lisa and ALL the Newshounds for all the hard work they do and all the time they spend away from their families. I really have noticed how Timesup has stepped up to the plate with doing EVEN MORE searching. She has really picked up the slack when others are not there! THANKS again! What a feeling of security we get from listening to Stryker and his Family of news hounds. They are are like blood hounds after a rabbit. They are always right on the tail of this fast pace investments ever changeing news. I have friends but these individuals are the best. They care about our feelings, our wants and needs and what we are going through in our life (today) and for our future. I am so blessed to have found this outlet to keep me grounded and with plenty of inspiration. Thank you for wanting me and others into your family. God Blessed us with all of you for a reason. Thanks again. Your all my HEROS. Thanks stryker, news hounds and admins, and everyone else. Keep the faith. I would like to thank everyone who contributes to making this site the best in dinarland. But I would especially like to thank Stryker for his consistent work and his family. Selfless is the word that comes to mind. His family has sacrificed so he can provide sound information to us all. Their selfless act does not go unnoticed and is greatly appreciated. Thank you Stryker and family, mods (especially SteveOOO, Gamaray, and RSS), newshounds, and team members for all you do. The finish line is in clear view. If success was determined by what others think we would all be failures.